For men or women's self defense, this is the place! Our Self Protection Devices are exactly what you're looking for. Our self defense weapons such as stun guns, pepper sprays, and tasers help you defend and protect yourself when you need it most. Crimes occur everyday. Now is the time to arm yourself with effective non lethal weapons and crime preventing home security items. 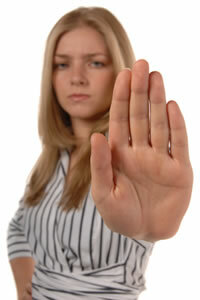 Self Defense Products give you hard hitting leverage over an attacker. Gain the Advantage against an assailant by arming yourself with non lethal personal protection weapons. These defensive tools help you defend and protect yourself when you need it most. 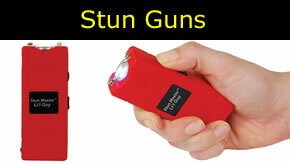 Stun guns have been around since the eighties or even longer if you count the period since cattle prods. Pepper spray is the go to choice for anyone, especially ladies who may not want to carry a gun. Or men who may not want to either. Or can’t. 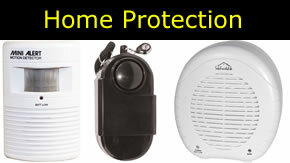 Our home security items help you set up a perimeter defense for your house or learn about keeping valuables secure. Nearly 66% of all burglaries are residential, and of those, 62% occur during the daytime. Most burglaries occur between 9 a.m. and 3 p.m., when no one is likely to be at home. You will find a large inventory of quality self defense items, wireless home and personal alarms, nanny cams, hidden safes, spy gear, even complete surveillance systems. We offer a 90-day money back guarantee on our self defense items. If you don't feel more secure, empowered, and self confident with your purchase, you can return it for an exchange or refund within 90 days - NO QUESTIONS ASKED! You will experience Superb Customer Service and Quality Products with every purchase you make. We guarantee it! WE WANT YOU TO BE EXTREMELY HAPPY WITH US! If you're not happy, then we aren't either! Be assured that your shopping experience is completely safe. The order site is secured using a SSL Web Server Certificate which encrypts all data to and from the site. You can be assured of the security of your information.